When the plans were laid for the new Wayne Schneider Stadium at Tracy High, there was not enough room to retain the baseball diamond. 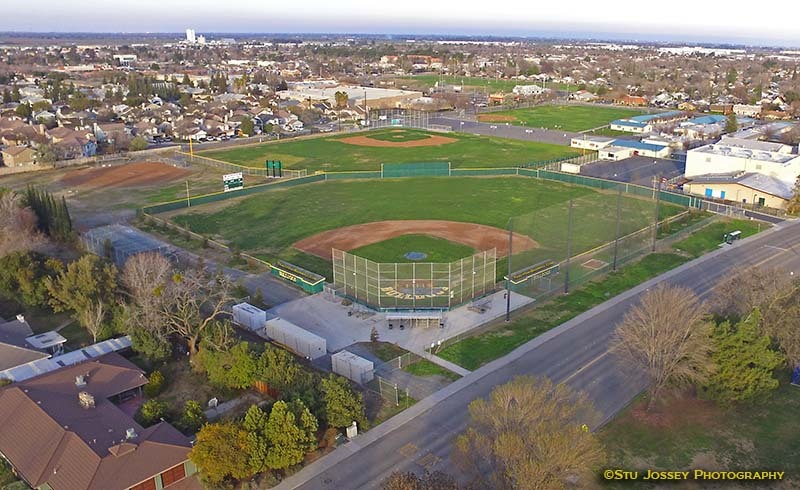 The school district selected the baseball fields at Monte Vista Middle School to be the new home of THS Baseball starting in 2013. Access to the main field is through an entrance off of Lowell Ave 300 yards west of Tracy Blvd. The sophomore field can also be accessed off of Vallerand Avenue. There is a snack bar open for most games and porta potties are present. The dimensions of the varsity field at Monte Vista are 330 down the right field line, 295 feet down the left field line, 355 to left center, and 375 to right center with a 12 foot fence in right center, a 16 foot fence to serve as visual backstop in center, and 8 foot fences around the balance of the outfield.